"Hire a compere or event presenter from The Kempthornes"
Your choice of compere or presenter makes an important contribution to the 'feel' or 'flavour' of your event. For an evening corporate award ceremony or game show you'd want a presenter with wit, warmth and authority. For the main stage at a family fun day you'll more likely be after a real crowd rouser, with the skills to fill in any gaps with magic tricks or skills of his own. And for a market town event you might prefer a wandering town crier to deliver your news. Allin Kempthorne has been presenting all manner of live events for nearly 20 years, from large corporate game shows in far flung countries to tiny community street corner events. I know what will work best for you. 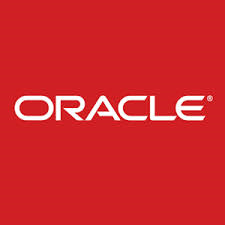 Send us an email and lets chat about what you need. Allin has presented corporate award ceremonies, game shows and events in over a dozen countries, from Dubai to South Africa, from Norway to the Netherlands, for clients including major international pharmacutical and international technology giants. 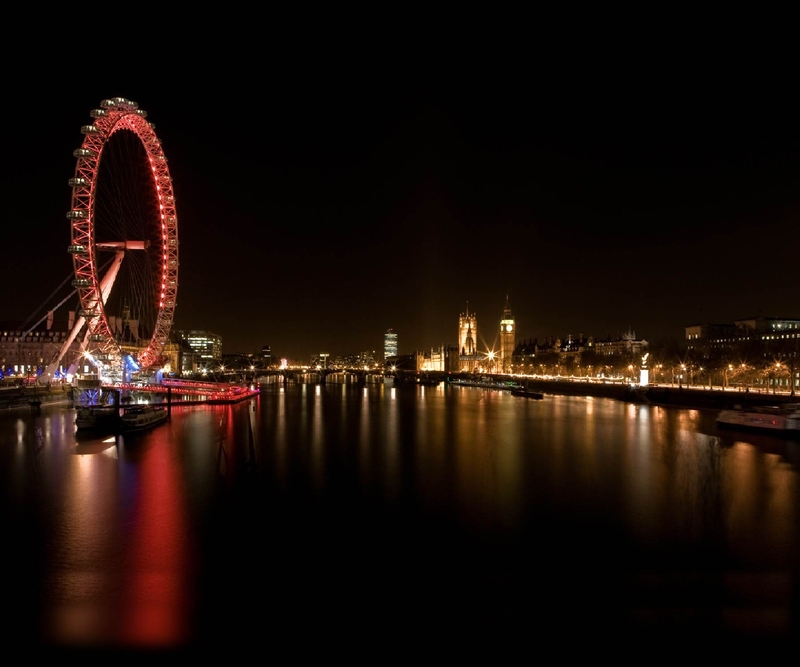 He has the skills, wit, humour and instinct to expertly pitch an event, keeping it pacey and lively and fitting to your company image. 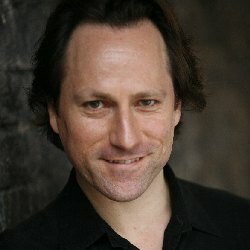 Allin Kempthorne performs all over the world as Thorn: Sharp Magician. 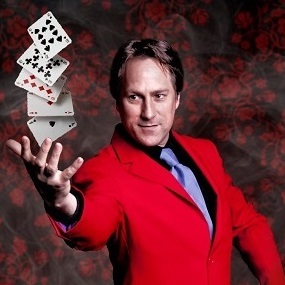 A lively, funny and captivating magician with a great many surprises, he brings vibrant and exciting life to any stage presentation or award ceremony with quick tricks between your guests speeches and a grand finale of his own. 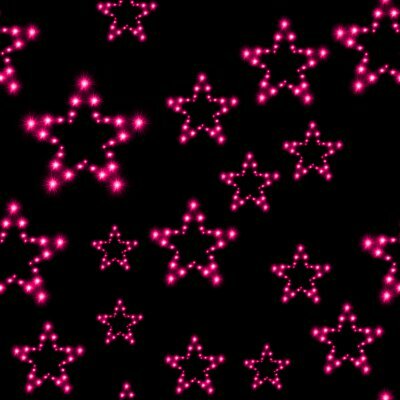 Give your event a magical touch! 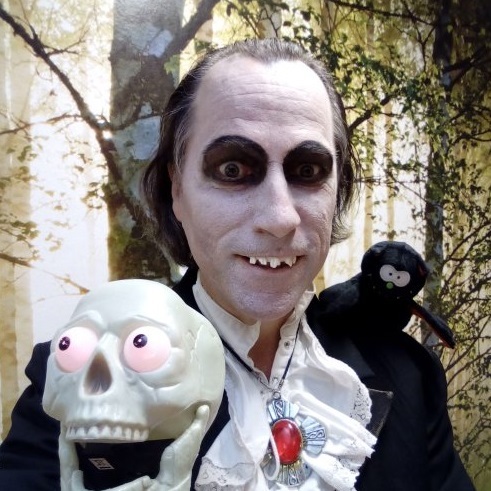 A charismatic and versatile compere for family events, Allin Kempthorne's Inspired Lunacy keeps your event rolling along beautifully, with great audience interaction. 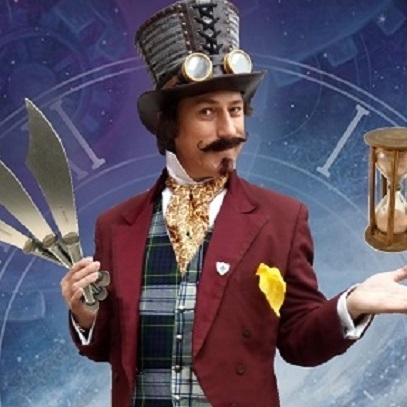 performing lively juggling, magic and family friendly silliness as necessary between the acts. 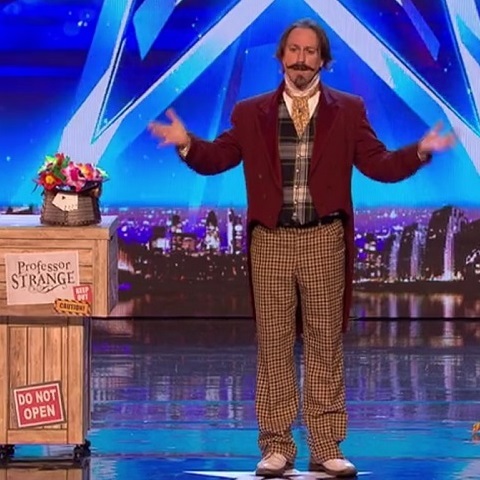 As featured on TV's "Britain's Got Talent", Professor Strange is a quirky, colourful and lively all round character entertainer with magic, juggling and balloon modelling and a crazy sense of humour that makes him a perfect host or compere for family audiences. 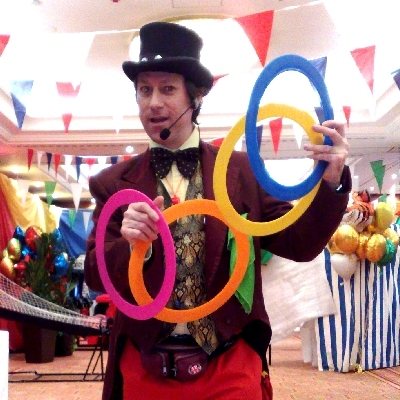 Allin Kempthorne is a trained and skilled character performer, so if your event has a theme he has the talent and flair to compere as any manner of crazy characters, also including his magic and circus skills if you wish. 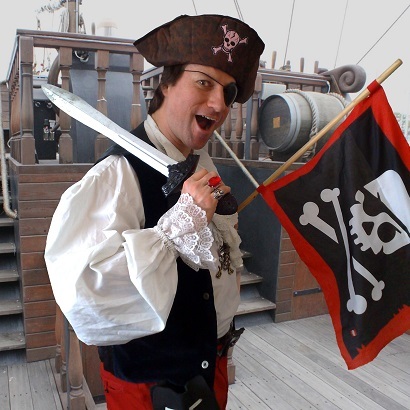 Shiver me Timbers, 'tis a pirate compere! 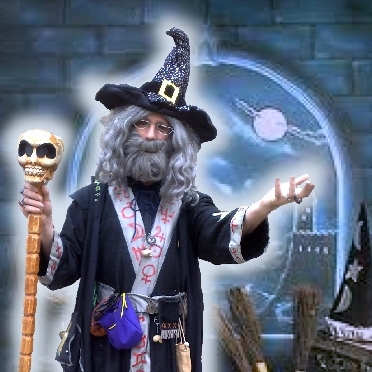 A magic wizard to leave your audience spellbound! 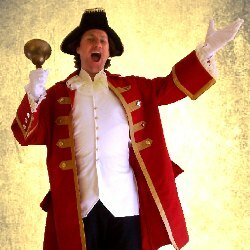 A Town Crier, armed with a loud bell and an even louder voice, will make your announcements in the traditional way. No microphone needed! Baron Blood the vampire magician is an ideal host for your Halloween events. 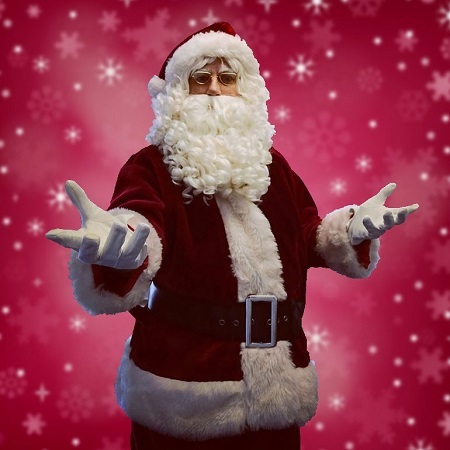 At Christmas, Santa himself can keep your event rolling along in true festive spirit. !